I think this is the first time that I have coloured that bunny, I usually leave him white but I have been working on my Copic colouring with Kathy Racoosin for the 30 Day Coloring Challenge. The camera didn`t pick up the Wink of Stella puffy tail, but it is adorable. sooooooooooo cute!! LOVING that bunny and the jellybeans!!!!! Oh my goodness, this is darling! 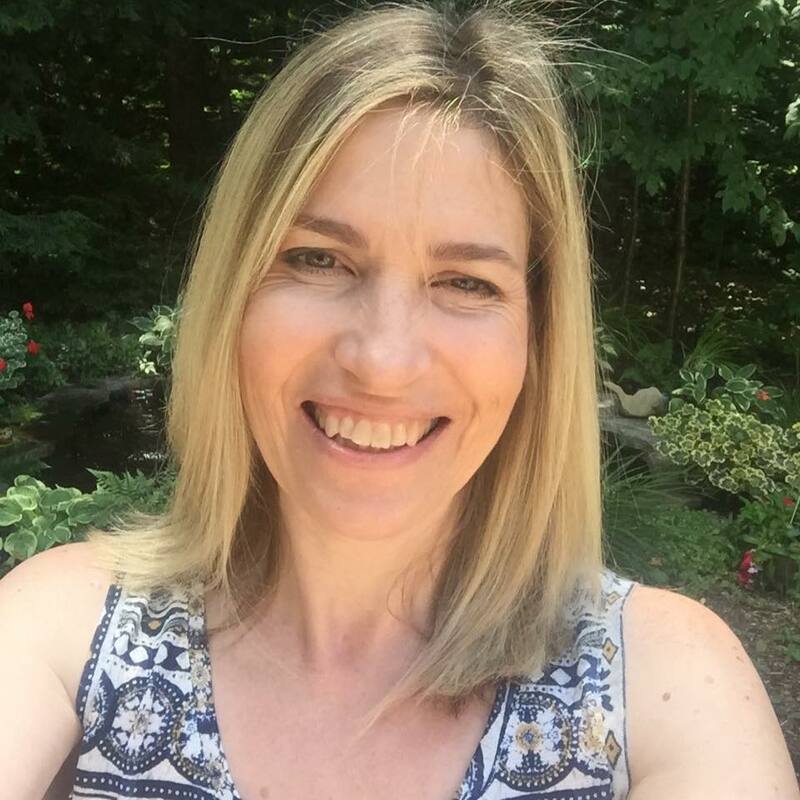 Your card popped up at the top of my blog feed and I had to stop by to tell you how fab it is!!! Tracey, you have that rare gift of making cards that make people SMILE real big. This card has so much joy and color and is gleefully adorable. Hippity hopping over jelly beans. Your card is so cute, Tracey, and yay! for your Copic coloring. Hippity Hoppity Easter's on it's way!! This is CUTE!! Super cute card Tracey! Such a darling bunny! I just love how he's jumping over the jelly beans! Too adorable! 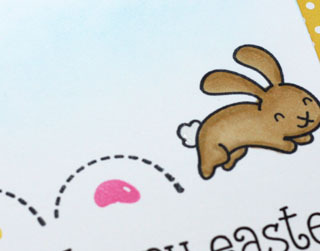 Fabulous little card...love that sweet bunny hopping over those yummy looking jelly beans. So cute with the fun jellybeans!! My goodness, this is so cute. Love that bunny, and those jelly beans he is hopping over. the cutest bunny... i love it..
Adorable I love that the bunny is jumping and looks like he is laying jelly bean eggs. Tracey, this is adorable! I love your hopping bunny and the jelly beans. So cute! Oh, this is so sweet Tracey. 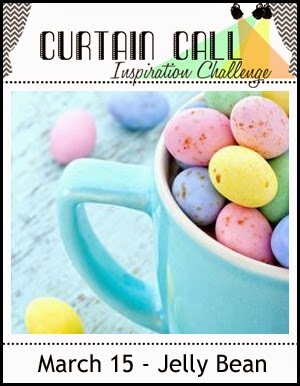 Love the cute images... those jelly beans are yummy! Such a darling Easter card, Tracey! Beautiful coloring on your bunny and I love how you lined up the jelly beans...so CUTE! Loving your polka dot paper in the background, too! Your over-the-jelly-beans, hippety-hopping bunny is adorable! Seriously cute; totally fun! Got your note; love your note (and you, too!). Aiming to respond tomorrow or Friday! Cute, cute, CUTE! 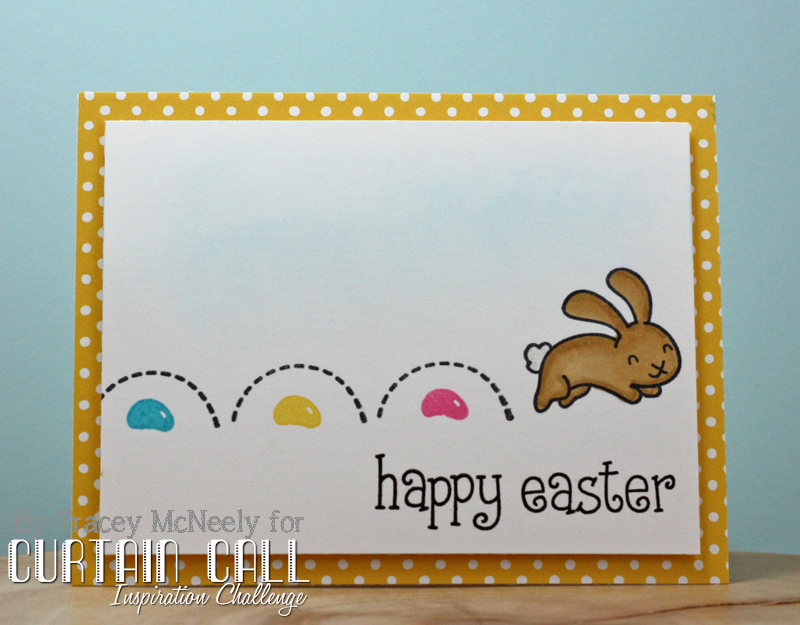 I just love the way that sweet bunny is bouncing over the jellybeans! LOL!